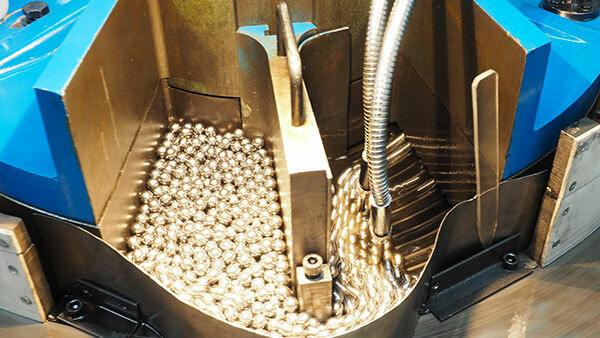 The production of a metal ball (steel, stainless steel) has to meet many requirements linked to the physical and size constraints of a ball. The various stages are presented in the technical table. 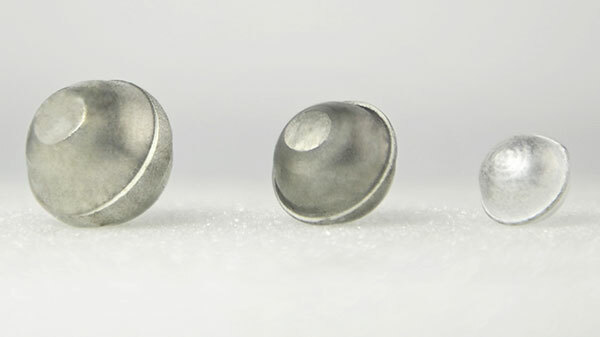 The production involves several stages from a wire cut and headed to create a round blank for the metallic ball. This blank will be ground and lapped between two cylindrical grooved iron plates. The same methods are used for the production of balls in non metallic materials (plastics, ceramic, glass) with the only difference being that one begins with a blank ball supplied by a subcontractor and not internally from a metal wire.